Australasian Railway Association (ARA), Chief Executive Officer, Danny Broad welcomed the announcement. Jamie has won an all-expenses paid trip to Innotrans 2018 to be held in Berlin in September 2018. 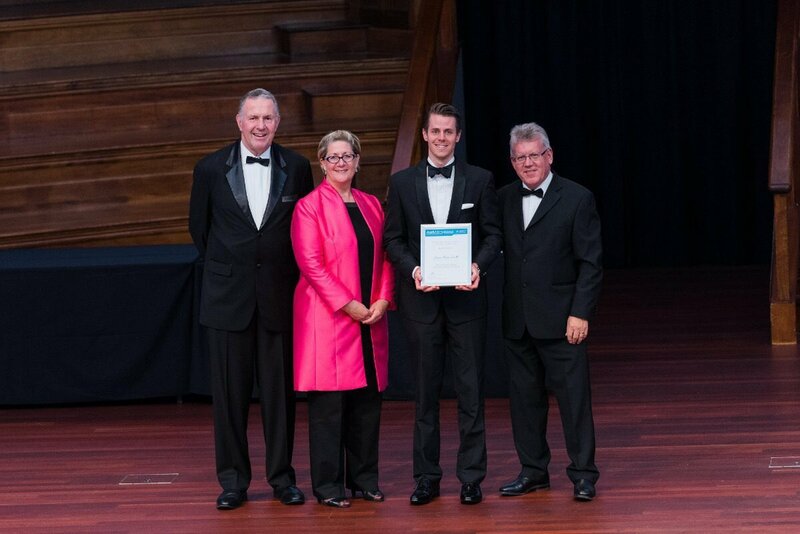 “I’d like to congratulate Jamie Ross-Smith for his well thought through and articulated pitch at AusRAIL PLUS 2017 and the other finalists for their professional presentations. General of Transport Canberra; Damien White, CEO of TasRail and Shaun Wilson, CEO of Shoal Engineering were overwhelmed by the high calibre of pitches presented by the five finalists. “This was also evident by the overwhelming number of delegates at AusRAIL PLUS 2017 who participated in the pitching competition by voting for their favourite presentations on the AusRAIL App. “Jamie’s pitch was to develop an Intelligent Asset Management System, which is designed specifically around asset sensorisation and complex internal and external system integration, utilising advanced data science and machine learning methodologies to develop comprehensive operational and maintenance-based predictive capabilities. “Unlike current and emerging predictive maintenance platforms, Jamie’s solution would also consider passenger loading information, maintenance scheduling, resource demand, tooling, network availability, siding and depot equipment and contract-specific parameters in determining the optimal response to a predicted asset issue. “The system would automate the scheduling, service order generation and maintenance request processes through direct integration to the network and operations control centres,” Danny Broad concluded.